Hailing from Central African Republic, Boddhi Satva vowed early in his career to make a statement through a signature sound of his own. He started as a singer and rapper in a Hip-Hop group (Gbekpa Crew) that he and a couple of friends founded in the 1990s. In 2000 Boddhi moved to Belgium to pursue his studies and to get a closer connection to the European music scene. There he began to develop his production talents and was more and more seduced by the sounds of Deep House, most notably the music of producers such as Kevin Yost, Alton Miller, St Germain, Osunlade and Masters At Work. Especially the influence of Osunlade paved the way for the creation of Boddhi Satva’s very own style: Ancestral Soul was born. Ancestral Soul is meant to be like a soundtrack of universal rituals, music that feels like a tense argument between passionate lovers, colliding with an intense freestyle session with live instruments – kora, piano, sax, flute, congas, cello, balafon and turntables – overflowing with energy. When Deep House music has modern Congolese Rumba as wife, West African voices as mistresses, and urban R&B and Afro-Cuban rhythms as occasional girlfriends, that’s Ancestral Soul. 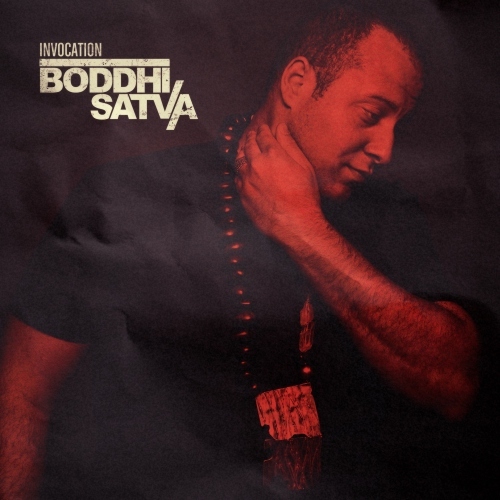 2012 sees the worldwide release of Boddhi Satva’s debut album INVOCATION on BBE Records, after it was released in Africa in 2011 by Vega Records, the label of the legendary Louie Vega. The latter hand-picked Boddhi in 2008 to be an elite producer for Vega Records and a resident of Vega DJ tours. Invocation confirms the solid place that Boddhi established for himself in the House music landscape. It is a solid work of art that was 10 years in the making. For the most part the album was produced during trips to Africa, especially Mali where the inspiration for Boddhi’s musical manifestation was at a peek. This is also where he recorded the amazing track “Ngnari Konon” with the grammy award winning singer Oumou Sangaré (please also check out this documentary about her). Another highlight is “Nankoumandjan” with beautiful vocals by Mangala Camara, one of Mali’s greatest voice who sadly passed last year. And then there is an impressive array of the international big names of the House music scene: Grammy Nominee Vikter Duplaix, C. Robert Walker, Athenai, etc. Every single production on this album features another singer which makes this album a diversified and highly enjoyable treat. What is the real name of the artist Boddhi Satva? All free CDs are gone and on the way to the lucky winners. Thanks for participating!